© 2019 Associated Newspapers Limited. ‘Meet the Scientists’ is a series of interviews with researchers working on ME and chronic fatigue syndrome. We ask them about their current research and get to meet the people working to improve our health. The series introduces early career researchers through to interviewing scientists and clinicians who have been working on the problems for decades. Professor Don Staines is co-director of the National Centre for Neuroimmunology and Emerging Diseases (NCNED) at Australia’s Griffith University, with Professor Sonya Marshall-Gradisnik. Together they have published more than 70 peer-reviewed papers on ME and chronic fatigue syndrome. Professor Staines is an author of the International Consensus Criteria for ME. 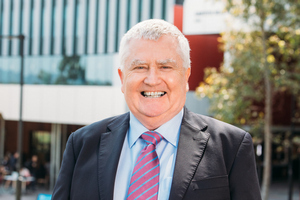 Professor Staines will be one of the keynote speakers at the Emerge ME/CFS International Research Symposium being held in Geelong in March 2019. In November last year, NCNED hosted the ‘CFS/ME International Conference’ and announced they have been awarded $2.2 million from the Stafford Fox Foundation which will help researchers discover the pathology, develop a diagnostic test for GPs and treatment.